Advertising and marketing in todays world is hard! 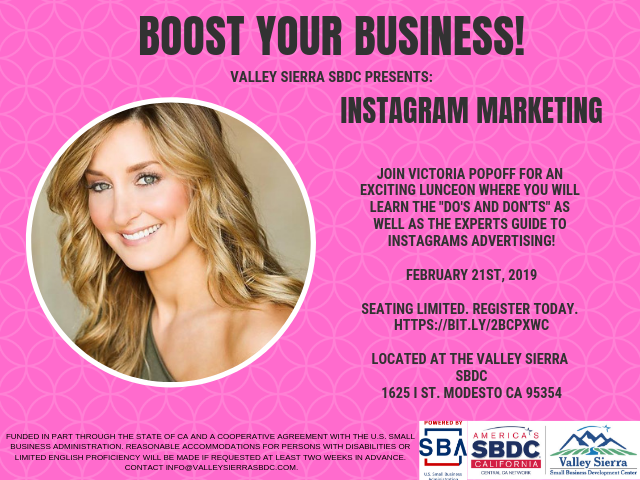 Join Victoria Popoff - Instagram Expert at The Valley Sierra Business Development Center on February 21st as she guides us on the Do's and Don'ts of Instragram. •LEARN HOW TO GROW YOUR FOLLING IN 15 MINUTES A DAY!